Our solar system is a vastly complex domain, bustling with minute remarkable details. Our planet is definitely the most intimidating presence in our system, but our neighboring planets are just as complex in their own way. There are many details that distinguish one planet from another, giving them their own climate, color, atmosphere and conditions. 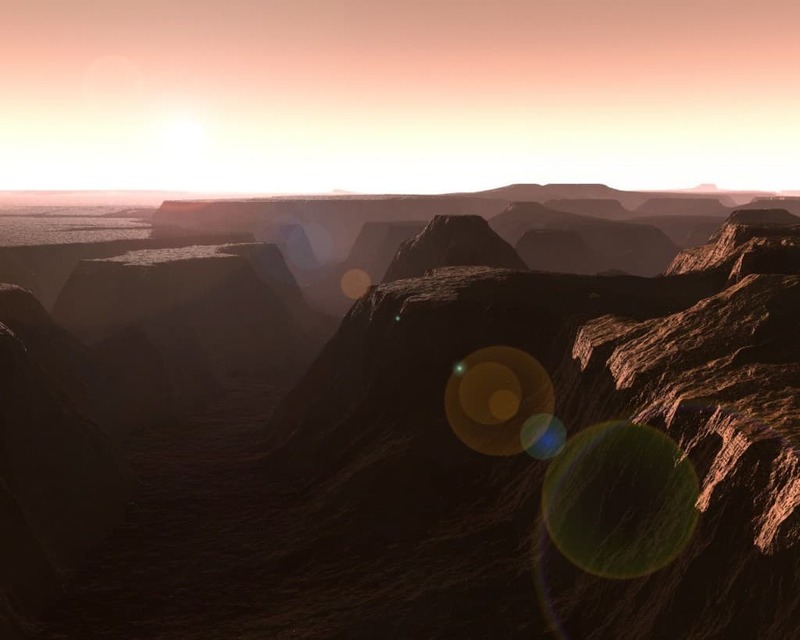 Mars is the one planet in our solar system that is the most similar to Earth. There are many fascinating details about little red dot, and here is a list discussing just ten of these 10 facts. Life on mars may not have green skin and pointed antennae, but there is something definitely living on the planet. They are called microbes, and fossilized remains were first found by NASA in 1996. You would literally have more time to kill if you ever lived on Mars. Due to its orbit around the sun, a year is much longer on the planet. One year on mars is 687 Earth days. 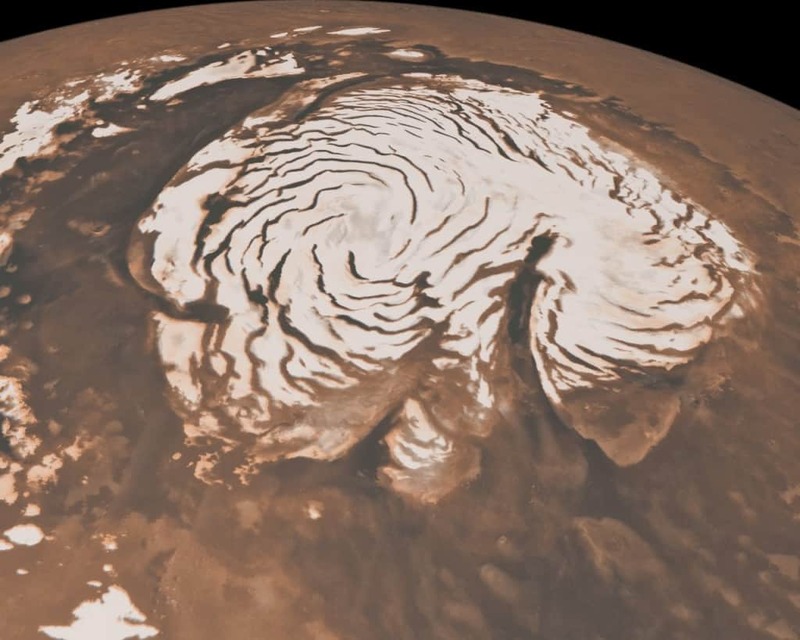 Mars is the only other planet in our solar system apart from Earth that actually has ice caps. The southern ice cap of the planet is made of dry ice. 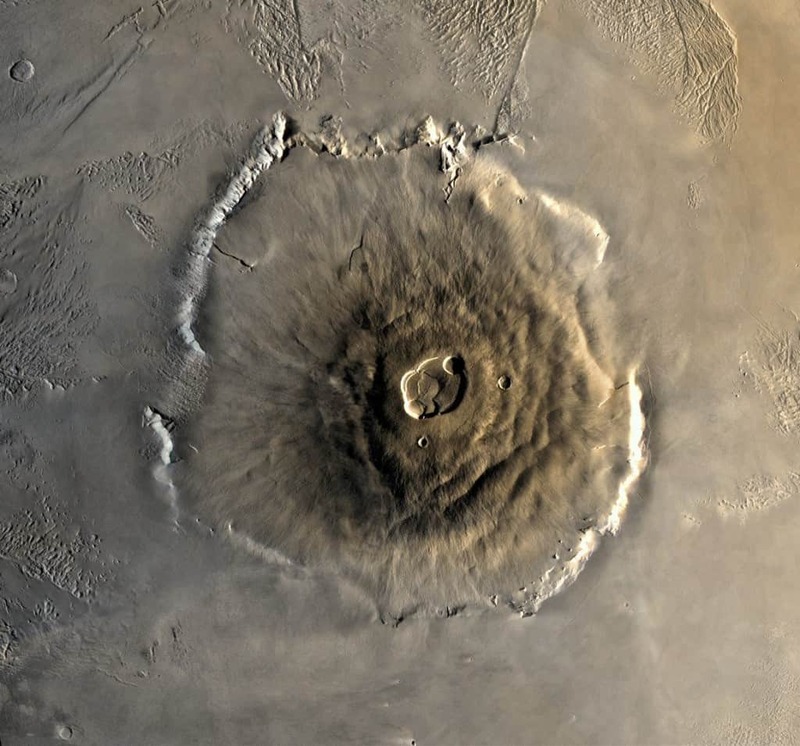 Olympus Mons is a volcano in Mars that happens to be the largest mountain in the solar system. It stands at a whooping 13.2 miles, making it three times bigger than Everest. 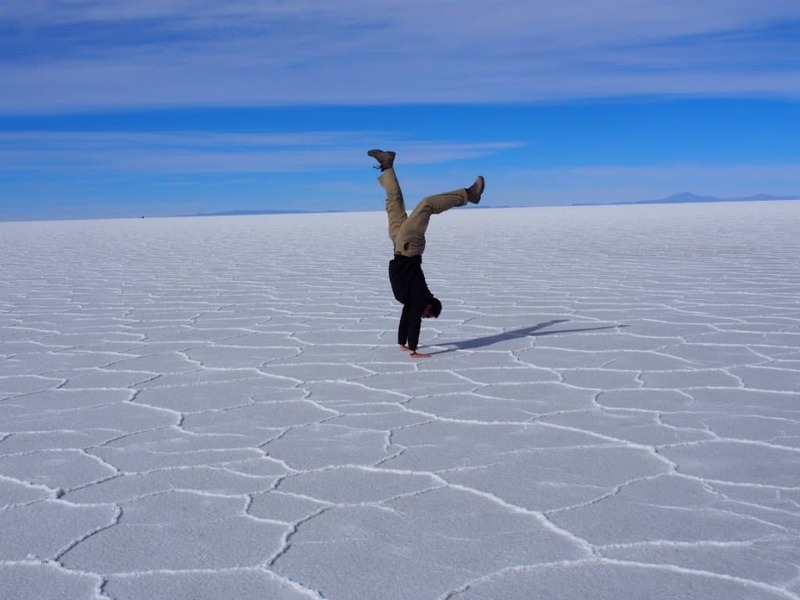 It also has a surface area that is the same size as the state of Arizona. Mars has its own version of a Grand Canyon called Noctis Labyrinthus. It has extremely steep-walled valleys and meandering canyons. This canyon has been shaped by heat and water for millions of years. 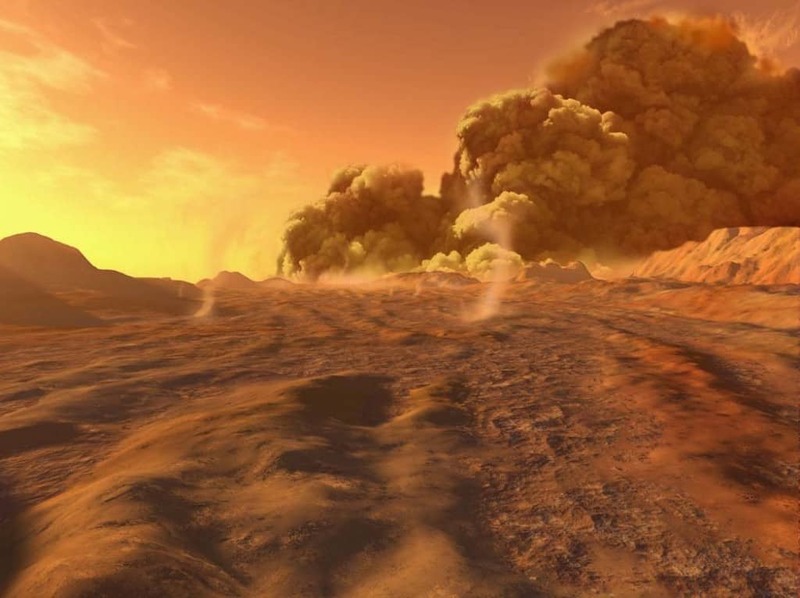 Mars sees some intense dust storms all year round. The ones on mars are actually one of the most severe in our solar system. They are known to engulf the entire planet and last many months. 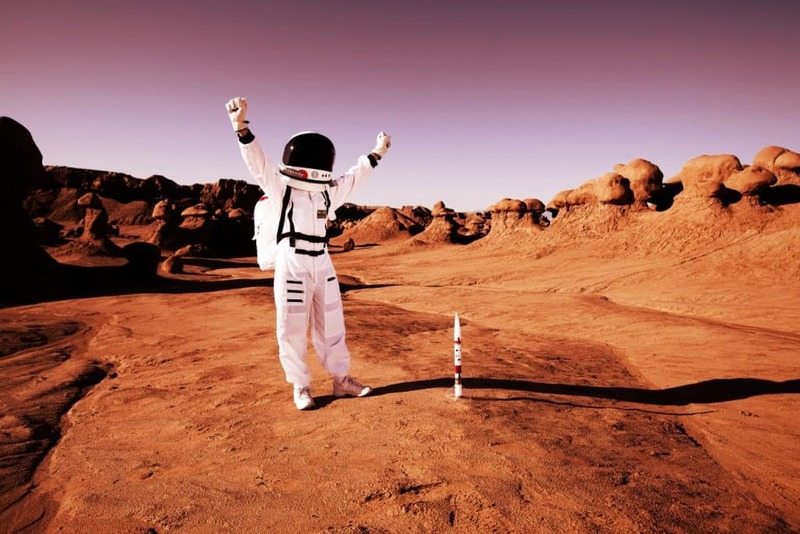 Man will probably first set foot on Mars by the year 2035. This is a plausible scenario thanks to the decree by President Obama calling for a manned mission in the near future. 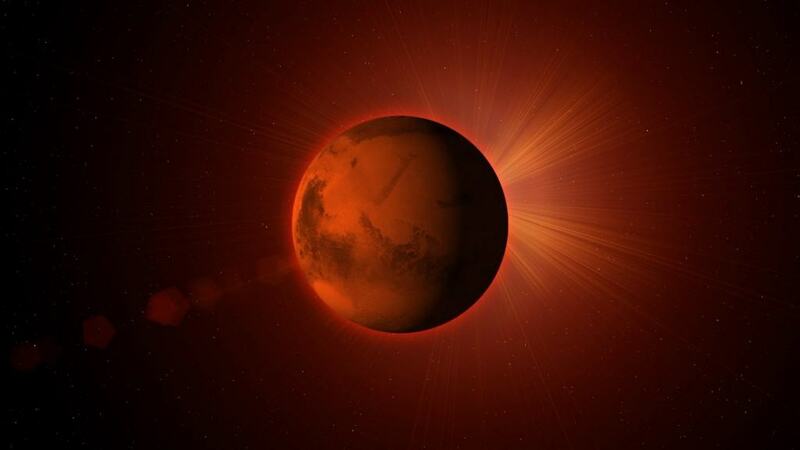 The Gravity in mars is much lesser than Earth as it is further away from the Sun. It is exactly 62.5% lesser than out planet, which means that 100 pounds on Earth would weigh only 38 pounds on Mars. 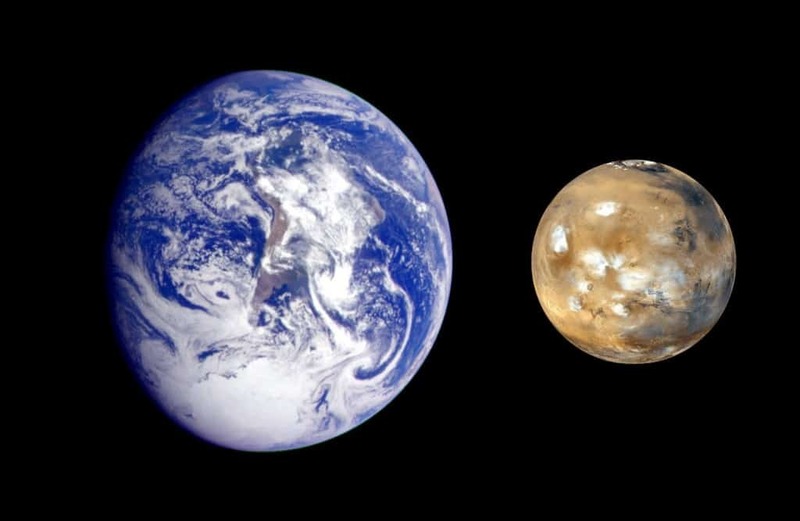 Mars and Earth share a very strange dynamic with one another. Although the volume of Earth is six times as much as Mars, the land area of Mars is actually larger than Earth. This happens due to the large amount of water on the planet that has now dried and frozen up. 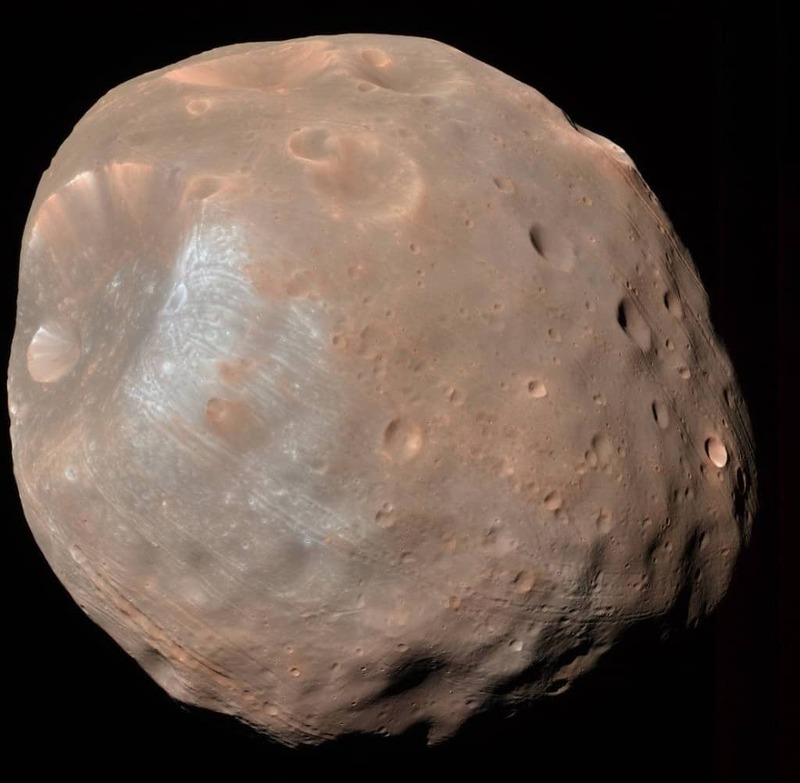 Phobos is the largest of Mars’ two moons. It orbits the planet extremely quickly, so quickly that is actually rises once in the west, but sets twice in the east everyday. The moon is also on a collision course with the planet due to the tilt of its orbit, and will hit mars in 10 million years.